Castlefield Gallery is delighted to announce that Shonagh Manson, Director of the Jerwood Charitable Foundation will be the guest selector for our Launch Pad project that will be staged at the gallery in May 2016. Shonagh joined the Jerwood Charitable Foundation as Director in April 2009. 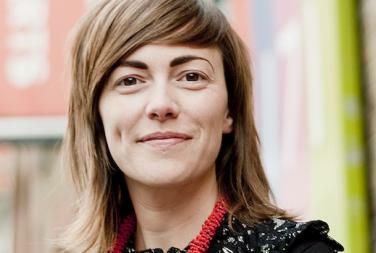 Previously she has worked at the Wellcome Trust, Fuel, and BAC (Battersea Arts Centre). Jerwood’s support for the arts includes prizes such as the Jerwood Drawing Prize, Jerwood Makers Open and Jerwood Open Forest, as well artist development work such as the 3 Phase collaboration with g39 and Eastside Projects which offers two early career artists the opportunity to make new work, show in five exhibitions in the collaborating galleries and receive ongoing curatorial and practical support from the partner organisations. Launch Pads are short projects that punctuate Castlefield Gallery’s main exhibition programme, providing artists and curators with the opportunity to use the gallery as a testbed for the production, display and consumption of contemporary art. They are opportunities for artists to test out new ideas with the support of Castlefield Gallery, and feature emerging talent from the region selected from CG Associate members’ submissions (two Launch Pads in 2016) and contemporary art BA/MA graduates from the Manchester School of Art (once a year). Launch Pad projects can run for up to ten days and are part of Castlefield Gallery’s artistic programme. The next Launch Pad slot is 6 – 15 May 2016, and the submission deadline is 12 noon on Monday 18 January.